An excellent DVD for the researcher both new and veteran alike! 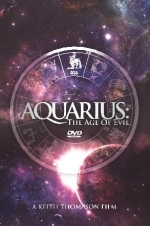 This 2-disc, over 2 hour long DVD set examines the history of the new world order. It demonstrates that the new world order is New Age oriented. The Zeitgeist films and movement are exposed and shown to have ties to the New Age, Theosophy, Freemasonry and the new world order movements. It covers Benjamin Creme, Maitreya, 2012 and the utopian New Age coadjutors who have infiltrated the patriot-movement. It also shows how the Bible predicts the coming new world order dystopia. Interviews with Constance Cumbey, Dr. Scott Johnson, and Chris White. Researched by Keith Thompson and Eric Brame.